How do you report a problem? Any behaviour that has caused or was likely to cause, Harassment, Alarm or Distress to one or more persons, not of the same household. Anti-social behaviour comes in many different forms ranging from low-level nuisance to serious harassment. It can damage people’s quality of life and interfere with their ability to use and enjoy their home or community. Everyone has the right to live in an environment free from anti-social behaviour. We take all complaints of anti-social behaviour seriously. We seek to take action whenever we can, providing it is justified. This list doesn’t cover all situations but gives an idea of where we would not take action but where we can offer advice and guidance. We will always explain if we cannot intervene in a case, sometimes we will direct you to other agencies/departments that will be able to help with the problem. What action can the Safer Neath Port Talbot Partnership take against individuals who are responsible for persistent anti-social behaviour in my neighbourhood? Many neighbour problems can be sorted out simply by talking to each other. Sometimes people genuinely don’t know they are creating a nuisance. If a concern doesn’t involve serious threats or violence, it may be best for you to discuss it with your neighbour in the first instance, before taking it further. We would advise that you only do this if you feel confident in resolving the problem amicably. Remember, your safety is paramount and we would not suggest that you approach anyone who is known to be violent or aggressive. The partnership can only take actions over problems brought to its attention. It is important for you to report incidents via 101 (see below for more details). We screen all calls for anti-social behaviour and in this way we can progress cases further. We rely on evidence that you and our partnership agencies can supply which will enable us to progress cases further. Contact the Police via 101 to report incidents that do not require emergency response. Reports of anti-social behaviour should be made by telephoning 101, which is the single non emergency number to the police. if you would like advice or guidance on any aspect of anti-social behaviour you can speak directly to one of the team in the Anti-Social Behaviour (ASB) Unit by telephoning 01639 889709 during office hours or you can leave a message and you will be contacted during office hours. 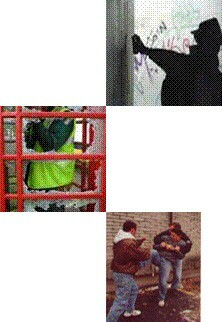 All reports of anti-social behaviour via 101 are prioritised according to need and are later screened by the ASB Unit. This information is then held on a confidential database for the purpose of monitoring and reducing anti-social behaviour. We work in partnership with the police and other agencies, but we will NOT give out your personal details to any party outside of the Safer Neath Port Talbot Partnership without your consent. If you make direct contact with the ASB Unit via e-mail you will recieve an acknowledgement within 5 working days, but usually within 24 hours. The Community Trigger allows victims of persistent anti-social behaviour, who have previously reported incidents to one or more agencies, to request a review of their case where they feel the actions taken have not been adequate. Activating the Community Trigger will bring relevant agencies together to share information, review the actions that have been taken and try to reach a solution that will hopefully prevent similar incidents from happening again. For the purposes of the Community Trigger, anti-social behaviour is defined as 'behaviour causing harassment, alarm or distress to persons not of the same household'. Someone representing a victim such as a carer, councillor or family member. Consent must be gained from the victim prior to the application. If you have been a victim of anti-social behaviour but have not reported the incidents to anyone, you will not be eligible to activate the trigger. "Working Together to make our Communities a Safer Place in which to Live and work"